What does dignity in hospice care at the end of life look like? Throughout our lives, a sense of personal dignity is essential to our well being. We each need to feel valued and respected. Near the end-of-life, the challenges of serious illness can erode a person’s dignity – which can increase pain and despair for both the patient and family. 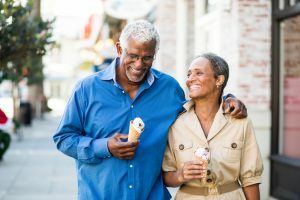 In an effort to address a patient’s physical needs, for instance, caregivers may treat the person more like a set of symptoms than a human being. They may unthinkingly deprive the person of basic privacy. And they may overlook the patient’s social, emotional and spiritual needs. But this doesn’t have to be the case. Both family and professional care providers can take important steps to help maintain the person’s dignity. Moreover, hospice care can play a leading role in ensuring dignity and respect for the patient and family. What is dignity in hospice care at the end of life? Dignity is a lifelong, universal need that’s vital to a person’s welfare. It means feeling a sense of worth or respect. Near the end-of-life, most people have less control over their life due to illness. Therefore, caregivers must act in ways that help preserve the person’s sense of dignity. Hospice maintains patients’ dignity by focusing on their comfort and quality of life. Respect, which includes self-respect, mutual respect, and respect for privacy. Autonomy, which involves having and providing choices, as well as competence and independence. Empowerment, which can involve self-esteem, pride, and modesty. Communication, such as explaining and understanding information, both verbally and non-verbally. 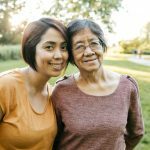 Families and other caregivers can help people maintain their dignity at the end-of-life by focusing on the person’s full range of needs: physical, emotional, social, and spiritual. Physical needs: Engage hospice care to help control the patient’s pain and any other symptoms, such as nausea or shortness of breath. Make sure the person is in the right environment to receive dignified care, such as their home with support from a hospice provider. Avoid invasive or unnecessary procedures that will not improve the person’s quality of life. Emotional needs: Communicate with the patient. Listen to them, and sympathize with their feelings and concerns. Involve the patient in decisions as much as possible. Encourage the patient and their partner to share their feelings with each other. Spiritual needs: Whether religious or not, many people have spiritual needs at the end-of-life. These needs can include wanting to maintain their identity, and wanting to know about their condition. To help the person, spend time focusing on them, and work to understand their perspective. Eliciting the person’s life story can help them maintain their identity and dignity, and further reveal their needs and preferences. Help them and their care team create a holistic care plan that considers the person’s dignity. Offer visits by an appropriate clergyperson if the patient wants such support. 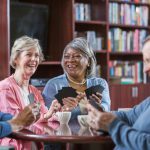 Social needs: “Social” assistance can promote dignity, such as helping the person manage their finances; enabling activities the person enjoys, like reading or playing cards; helping the person spend time with their family; and enabling the person to choose their place of death. Family needs: Professional caregivers should also consider the needs of the patient’s family. Hospice care, in particular, focuses on the dignity of the family – both during their loved one’s illness and after death — offering a wide range of social and emotional supports. Age: The concept of dignity differs with a person’s age, especially for children. When a child is terminally ill, dignity involves maintaining as much normalcy as possible. Enable the child to play, do their usual activities, and continue their regular relationships. Acknowledge they are still a child, and place less emphasis on their approaching death. As with adults, ensure they receive hospice care to address pain or other symptoms and needs. Religion and culture: A person’s concept of dignity is influenced by their culture and values. For example, a Muslim patient may wish to die facing Mecca, the religion’s holiest city. A Jewish person may want to be assured that, after death, someone will stay with their body before burial – a religious practice that honors the dead. 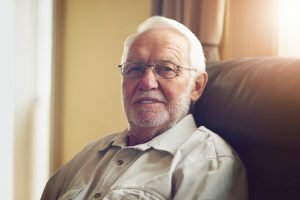 Whether your loved one is living at home, in a hospice center, or in a hospital or other care facility, here are some ways to help ensure their dignity. These tips can apply to both professional and family caregivers. Hospice care can increase a person’s dignity at the end-of-life, because hospice addresses each person’s full range of needs and preferences — physical, emotional, social, and spiritual. Talk to the patient. Caregivers should say hello to the patient when they walk in the room, and introduce themselves the first time they meet. Don’t talk about the patient in the third person, as if they’re not there. Speak respectfully. Use terms the patient can understand, avoiding medical jargon. But be careful not to speak down to the person. Be sympathetic and patient. Listen to their concerns, and answer them honestly. Don’t joke about or criticize the patient, even if they seem out of hearing range. Keep a caring, positive attitude. Maintain a warm, sincere manner with the patient. Provide companionship, as well as care. Emphasize the person, not just their illness. Ask the person how they want to be cared for. When providing personal care, such as bathing or dressing, ask the patient about their preferences and give them choices when possible. Tell them in advance what you’ll be doing, especially if you must touch them. Protect personal information. Don’t share personal information about the patient or family, except what’s necessary for other care team members to know. Protect physical privacy. When giving a bath or dressing the person, for instance, cover them with a towel or blanket. Uncover only the part of the body being washed or dressed, then recover or clothe that part before moving to the next area. Assist with grooming. Pride in one’s appearance is important to feeling dignity and self-respect. Take simple steps to help the person look better, such as brushing their hair, trimming whiskers, and helping them dress. Encourage life story-telling: Talk to the person about their life, which can help them maintain their identity and thereby enhance dignity. This can also help caregivers better know and respect the person, and reveal previously unknown needs. Help the person say goodbye. If the person is interested, help them plan and say their goodbyes to their loved ones. Support reflection. Allow the person time to think about their life, and ensure they receive professional support as needed. Encourage meaningful activity. Help the person do things they find fulfilling and hold conversations that are important to them. Such activities will contribute to their sense of self-worth and purpose. Document end-of-life choices. Help the patient engage with their physician to make advance decisions about their end-of-life care, and then complete the necessary forms to ensure their wishes will be followed. These documents include a living will, advance directive, medical power of attorney, and physician orders for life-sustaining treatment. Ensure peace and comfort. In the person’s final hours, make sure their environment is peaceful and that they’re kept comfortable. Play soft music to create a calming mood. Ensure any religious needs are met. Continue talking to the person, even if they don’t respond. They may still be able to hear you, as hearing is one of the last remaining senses. To learn more about dignity at the end-of-life, as well as Samaritan’s hospice care and how it helps people maintain dignity at the end-of-life, call (800) 229-8183.